Audi R8 prices start at Rs. 2.72 crore (Ex-Showroom). Audi R8 is available in 1 variants and 7 colours. Share your experiences with R8? The claimed ARAI mileage for the Audi R8 petrol is 17 kmpl. Looks, Engines, handling, interior, basically everything! Ten cylinders, four wheels, two seats and a million moments of pure joy! Who says money can't buy happiness? A little taste of Audi’s second generation supercar has us salivating for more! Priced at a hefty tag of Rs 2.63 crores (ex-showroom, all India), the Audi R8 epitomizes racing spirit in every detail it carries. The exteriors are radically designed with large alloy wheels, dropping roofline, and hooded front and rear coming together to make an unforgettable impression. The racing spirit of the car is carried inside the cabin as well. Audi virtual cockpit theme and infotainment system keep you enchanted all the time although lack of space may dissuade many potential buyers from taking a plunge. Under the Hood, Audi R8 is powered by 5.2-liter V10 churning two different power outputs - 540 BHP and 610 BHP. This V10 engine makes use of the 7-speed automatic transmission to send power to all the four wheels via Audi's famous Quattro system. 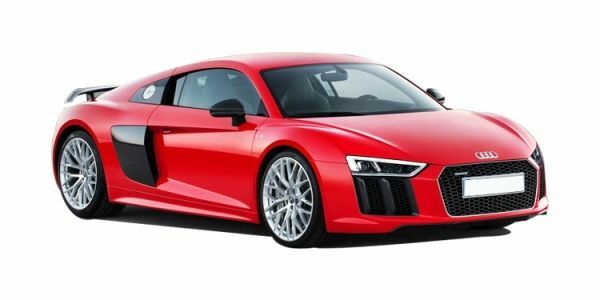 In India, Audi R8 is rivalling the likes of BMW i8, Nissan GT-R, Lamborghini Huracan, and Mercedes Benz AMG GT among others. Audi’s original thoroughbred supercar has gotten a makeover for 2019 and is now leaner, meaner and comes with more grunt under the hood.